From right: Kevin Crull (President, Bell Media), Serge Sasseville (Senior VP, Corporate and Institutional Affairs, Quebecor), Pierre Dion (President, Groupe TVA), Robert Dépatie (President, Vidéotron), Pierre Karl Péladeau (President, Quebecor Inc.), at a CRTC hearing on Tuesday. CORRECTION: This post originally stated that only one case of a scab working for the Journal had been proven. There are actually two that have gotten rulings from the labour board. Thanks to J.F. Codère for pointing it out in a comment. N.B. : Une version française de ce billet a été publié dans Trente, le journal du Fédération professionnelle des journalistes du Québec. I’ve always liked to think of myself as open-minded. It’s a good quality for a journalist, and one that I don’t think enough of them have. For most of this blog’s existence, there has been a major labour conflict at a Quebecor-owned newspaper – the Journal de Québec in 2007 and 2008, and the Journal de Montréal in 2009 and 2010. In between there have been all sorts of depressing news for journalists in general as the media industry seems to be in a state of slow collapse. Like many of my journalist colleagues, my first reaction to Quebecor’s lockout of its two largest newspapers was to take the side of the workers. 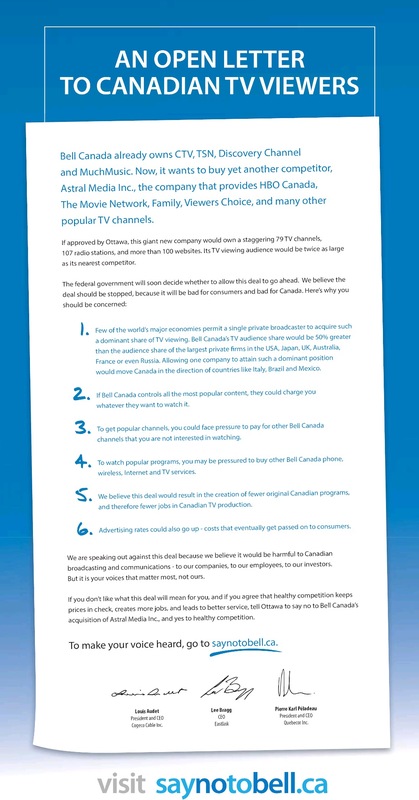 Whether or not I agreed with what they wrote when they were employed by Quebecor, they are mere pawns in the media game being played by the great Quebecor Empire. They are the Luke Skywalkers to Pierre Karl Péladeau’s Darth Vader. But in my admittedly limited experience as a journalist, I’ve learned that situations aren’t nearly as black and white as they may seem to be. Society’s villains aren’t all Hitler-like caricatures of pure cartoonish evil, motivated solely by greed and hatred of puppies. And its heroes aren’t all pure good.